Introduction: In contrast with other medieval serial sources concerned mostly with men English manorial court rolls recorded a high proportion of women appearing in court as plaintiffs or defendants in various misdemeanours and trespasses, in cases of conflicts with neighbours or the lord’s bailiffs. The court sessions showed women litigating about credit and debt, selling and buying land, paying merchet and heriot fines, etc. The publication, in 1996, of Medieval Society and the Manor Court emphasized the unique wealth of manorial court rolls for the study of legal and demographic history and other facets of the social structure of medieval rural society. Studies on the roles of women in medieval society have relied especially on the use of manorial court rolls. The 43 Heacham annual Leet court sessions, on which this paper is based, between 1276 and 1324, listed the women selling ale and bread on the market, paying the licensing taxes due to the Prior of Lewes, lord of the «soke» of Heacham, for the assize of bread and ale. They also listed chief pledges and elected manorial officials, tenants of the manor, who upheld the manor court proceedings and the agrarian and commercial economy of Heacham. Associated rentals and terriers provided names of tenants, appearing also in the curie baronis as litigants, pledges or manorial officials, and, combined with the curie lete, these allow an examination of the roles and status of the women of Heacham at the end of the thirteenth and in the early fourteenth centuries. The objective of this paper is to measure the involvement of women in the Heacham local food and drink market and to assess the social differentiation among these working women mentioned in the 43 leet courts (1276-1324 ca.) taken as significant sample of the Heacham female population. It attempts to appraise their « status » in relating these women to the manorial ‘official elite’, and to its tenant population at the end of the medieval economic and demographic expansion. 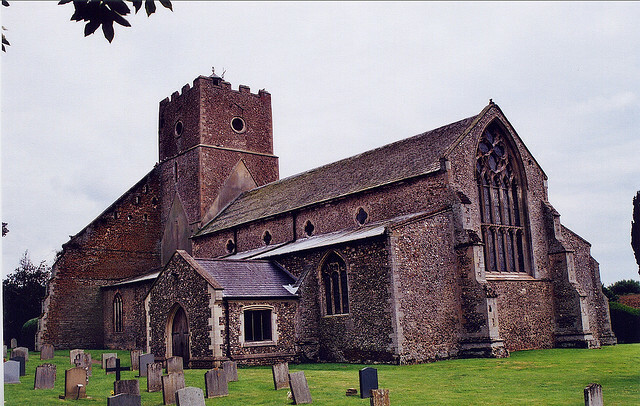 The fortunes of Heacham as a port and a market borough, long established on the eastern shore of the Wash rose markedly during the thirteenth century6 . In 1272, Heacham was granted by royal charter a weekly market on Wednesdays and 3 days during the mid-August Fairs (14, 15, 16 August) which confirmed the growth of its market active since the eleventh century at least. The Little Domesday mentioned in its entry for Heacham a fishery, salt-pans and a mill, and a rare early twelfth century custumal, using the pre-conquest anglo-saxon social nomenclature, prescribed a day’s work for the clearing of the river banks to enable the transport of goods to the port and the smooth functioning of the 3 water-mills. The indications of the Lay Subsidy of 1334 left no doubt as to the fact that Norfolk was, two decades before the Black Death, the wealthiest English County. Heacham was one of 35 localities of the fertile Fens of Western Norfolk and of Lincolnshire on the shores of the Wash taxed over £. 225 : this was the region of England where the concentration of wealth was most marked in the first half of fourteenth century. Heacham was a prosperous fishing port : the Inquisitio Navium of 1337 mentioned 12 Heacham tenants who owned fishing ships : the richest, Simon Lambriht , had 7 ships gauging from 5 tons to 32 tons. Heacham Leet court sessions were regularly taxing a number of fishmongers as forstallatores communes.